Who is going to see the movie this weekend?!? 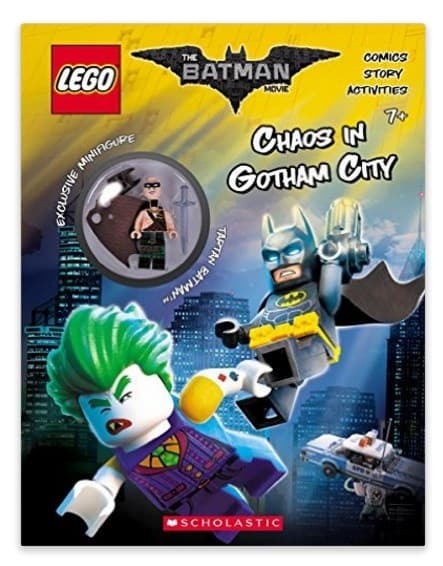 The Chaos in Gotham City (The LEGO Batman Movie: Activity Book with Minfigure) is on sale for $6.59 at Amazon right now. That's 27% off the list price of $8.99! An activity book with exclusive LEGO(R) Batman(TM) minigifure, based on the animated film! With a mix of comics, puzzles, and activities, it? 's a great way to join the Dark Knight on his quest to save Gotham from descending into super?-villain chaos!